Nomad is one of those brands that just ‘gets’ how important it is to travelling light, and that the modern world is not always kind to anyone attempting to travel without being loaded down by dull trav gear. 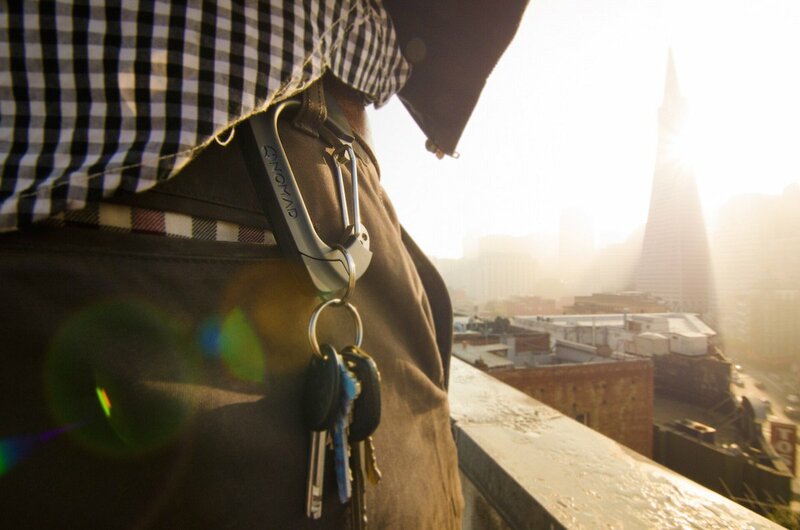 Cue the NomadClip, a carabiner with a retractable USB at one end and either an Apple Lightning or Micro USB at the other. Who needs cables when you can have a rugged, waterproof and hard to lose clip-on? Backpackers, hikers and day-trippers, rejoice. And anyone with a spare belt loop. It’s simple stuff and highly effective, but we do have a few criticisms. The NomadClip is bigger and heavier (90x50mm & 54g) than it needs to be, and the cables are stiffer to extract from the carabiner than they should be. Frequent use should dampen the latter problem, but the NomadClip remains bigger than we had expected. It would also be handy if the Apple Lightning and Micro USB versions were different colours, or labelled as such since many of us travel with a Kindle or Micro USB-recharged smartphone battery as well as an iPhone or iPad. Take two NomadClips on your next trip? You betcha. The NomadClip is more versatile (and pricer) than the Nomad ChargeKey we’ve reviewed before (and which it replaces) though it’s bulkier than it needs to be. It may not be perfect, but its versatility when compared to a curled-up cable in your luggage is unquestionable; we’re never leaving home again without both versions of the NomadClip attached to a backpack.